Konami's imaginative parody on the Gradius series. It plays just like Gradius, with the same power-up system, but features a far more bizarre and imaginative series of levels and characters. 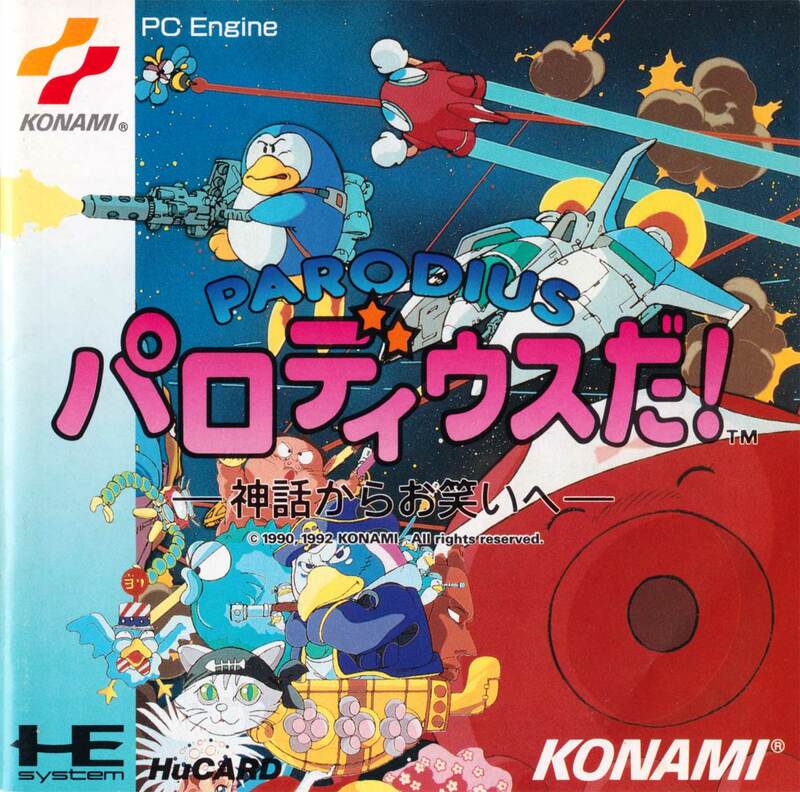 One of the most imaginative shoot 'em ups ever made, Parodius is a visual treat and has the gameplay to match. It's well balanced with a good difficulty curve and it just shines among the sea of shooters on the PC Engine. Essential purchase for shoot 'em up fans. Parodius Da! Is a great conversion of the whacky Gradius-alike. I think this game is actually superior to both Gradius games (and Salamander) on the system because it plays similarly, but just entertains so much more graphically - plus you have a choice of ships aside from the Vic Viper, which really adds to the replay value. In some ways, this port actually improves on the arcade, with multi-layered scrolling in some sections that the original didn't have. Some of the animation is a little sparse, but this doesn't take away from the fact that this is a great shooter, and one of the finest crafted cute-em-ups on the system.